I Can’t Even starts with a single rule: The player with the highest odd score wins! Play different Monsters to gain points, but watch out! Opponents will try to sabotage you and interfere with your plans. Will you collect safely, sabotage rivals, or go for the big play yourself? Every game is filled with tough decisions that require you to anticipate other players’ strategies and adapt. I Can't Even is a simple card game that takes only moments to teach, but provides a huge depth of strategy. 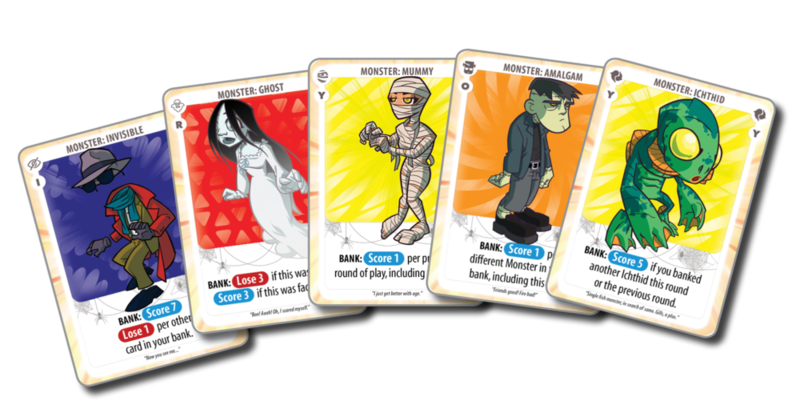 Fans of games like Sushi Go and Dead Man's Draw will enjoy bluffing, pressing their luck, and collecting sets of unique monsters. Every turn up to the last makes for an exciting reveal, and the quick play time will have you playing I Can't Even again and again! A Deep Game with a Simple Rule: The Player With the Highest Odd Score Wins!